Intraarticular Platelet-Rich Plasma Injection in the Treatment of Knee Osteoarthritis: Review and Recommendations. Platelet-rich Plasma Therapy: What You Should Know. Vora A, Borg-Stein J, Nguyen RT. Alsousou, A. Ali, K. Willett et al. The role of platelet-rich plasma in tissue regeneration. Rosalyn T Nguyen MD, Joanne Borg-Stein MD, Kelly McInnis DO. PM&R; 2011 Mar; 3(3): 226-250. Kenneth S Lee, John J Wilson, David P Rabago, Geoffrey S Baer, Jon A Jacobson, Camilo G Borrero. Musculoskeletal Applications of Platelet-Rich Plasma: Fad or Future? AJR Am J Roentgenol. 2011 Mar;196(3):628-36. Sampson S, Gerhardt M, Mandelbaum B.
Curr Rev Musculoskelet Med. 2008 Dec;1(3-4):165-74. Tate K MD, Crane D.
Journal of Prolotherapy. 2010 May; 2(2): 371-376. Crane D, Everts P. Platelet Rich Plasma (PRP) Matrix Grafts. Practical Pain Management2008:8 (1):11-26. Hall MP, Band PA, Meislin RJ, Jazrawi LM, Cardone DA. J Am Acad Orthop Surg. 2009 Oct;17(10):602-8. Sánchez M, Anitua E, Orive G, Mujika I, Andia I.
Molloy T, Wang Y, Murrell G. 2003. Am J Sports Med. 2012 April 10. Br J Sports Med 2013;47:e2 doi:10.1136/bjsports-2013-092459.39. American Academy of Orthopaedic Surgeons. 2013 Annual Meeting News February 19 – 23, 2013. Muto T, Kokubu T, Mifune Y, Sakata R, Nagura I, Nishimoto H, Harada Y, Nishida K, Kuroda R, Kurosaka M..
Platelet-rich plasma protects rotator cuff-derived cells from the deleterious effects of triamcinolone acetonide. J Orthop Res. 2012 Dec 31. doi: 10.1002/jor.22301. Rha DW, Park GY, Kim YK, Kim MT, Lee SC. Comparison of the therapeutic effects of ultrasound-guided platelet-rich plasma injection and dry needling in rotator cuff disease: a randomized controlled trial. Moon YL, Ha SH, Lee YK, Park YK. Comparative Studies of Platelet-Rich Plasma (PRP) and Prolotherapy for Proximal Biceps Tendinitis. Am J Sports Med. 2012 Feb 23. Operative Techniques in Sports Medicine, Volume 19, Issue 3, September 2011, Pages 165-169. Allan K. Mishra, MD, Nebojsa V. Skrepnik, MD, Scott G. Edwards, MD, Grant L. Jones, MD, Steve Sampson, DO, Doug A. Vermillion, MD, Matthew L. Ramsey, MD, David Karli, Vail, Arthur C. Rettig, MD. The Orthobiologic Institute, March, 2013. PM R 2011 Oct; 3(10):900-11. Finnoff JT, Fowler SP, Lai JK, Santrach PJ, Willis EA, Sayeed YA, Smith J.
Taco Gosens MD/PhD, Joost C Peerbooms MD, Wilbert van Laar, Brenda L den Oudsten PhD. Am J Sports Med; 2011 Mar. A systematic review of four injection therapies for lateral epicondylosis: prolotherapy, polidocanol, whole blood and platelet-rich plasma. Platelet-rich plasma: current concepts and application in sports medicine. Peerbooms, J. C., Sluimer, J., Bruijn, D. J., Gosens, T.
Am J Sports Med. 2006 Nov;34(11):1774-8. Am J Hand Surg. 2003;28(2):272–8. De Almeida AM, Demange MK, Sobrado MF, Rodrigues MB, Pedrinelli A, Hernandez AJ. Am J Sports Med. 2012 Jun;40(6):1282-8. Podesta L, Crow SA, Volkmer D, Bert T, Yocum LA. Halpern B, Chaudhury S, Rodeo SA, Hayter C, Bogner E, Potter HG, Nguyen J. Clinical and MRI Outcomes After Platelet-Rich Plasma Treatment for Knee Osteoarthritis. Clin J Sport Med. 2012 Dec 12. American Academy of Physical Medicine and Rehabilitation, Vol. 3, 391-395, April 2011. Kumar V, Millar T, Murphy PN, Clough T.
The treatment of intractable plantar fasciitis with platelet-rich plasma injection. PM R. 2013 Jul 19. Platelet-rich plasma injections for chronic plantar fasciitis. Int Orthop. 2012 Dec 19. Platelet rich plasma treatment for chronic achilles tendinosis. Foot Ankle Int. 2012 May;33(5):379-85. 2012 Annual American Academy of Orthopaedic Surgeons meeting Podium Presentations. Operative Techniques in Sports Medicine, Volume 19, Issue 3, September 2011, Pages 177-184.
International Journal of Therapy and Rehabilitation. February 2011, Vol 18, No 2. Am J Sports Med, April 19 2011.
International Journal of Sports Med, June 2010. P Robert J. de Vos et al. 2010 Annual American Academy of Orthopaedic Surgeons meeting Podium Presentations. 2010 Annual American Orthopaedic Foot & Ankle Society (AOFAS) Meeting. Filardo, G, Lo Presti M, Kon E, Marcacci M. 2010. Hamid M, Ali M, Yusof A, George J.
Bernuzzi G, Petraglia F, Pedrini MF, De Filippo M, Pogliacomi F, Verdano MA, Costantino C.
Use of platelet-rich plasma in the care of sports injuries: our experience with ultrasound-guided injection. Borrione P, Grasso L, Chierto E, Geuna S, Racca S, Abbadessa G, Ronchi G, Faiola F, Di Gianfrancesco A, Pigozzi F.
Experimental model for the study of the effects of platelet-rich plasma on the early phases of muscle healing. Operative Techniques in Sports Medicine, Volume 19, Issue 3, September 2011, Pages 149-153. Use of autologous platelet-rich plasma to treat muscle strain injuries. The biology of platelet-rich plasma and its application in oral surgery: literature review. American Journal of Physical Medicine & Rehabilitation: October 2010 – Volume 89 – Issue 10 – pp 854-861. Mishra A, Woodall Jr. J, Vieira A. 2009. Clin Sports Med 28(1): 113-25. Int J Sports Med, 2004. 25:589-594. American Journal of Sports Med, 2009. 37 (6): 1135-1142. 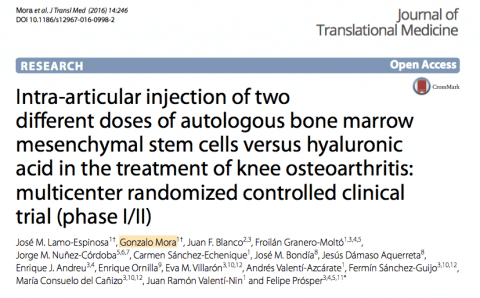 Platelet rich plasma intra-articular injections: a new therapeutic strategy for the treatment of knee osteoarthritis in sport rehabilitation. Autologous platelet gel for tissue regeneration in degenerative disorders of the knee. Department of Orthopedic Surgery, College of Medicine, Yeungnam University, Daegu, 705-717, Korea. Operative Techniques in Sports Medicine, Volume 19, Issue 3, September 2011, Pages 154-159. Steven E. Sampson DO, Marty Reed MD, Holly Silvers MPT, Michael Meng DC, Bert Mandelbaum MD. Ana Wang-Saegusa, Ramón Cugat, Oscar Ares, Roberto Seijas, Xavier Cuscó and Montserrat Garcia-Balletbó. Archives of Orthopaedic and Trauma Surgery, Volume 131, Number 3, 311-317, DOI: 10.1007/s00402-010-1167-3. Hunziker EB, Driesang IM, Morris EA. Clinical orthopaedics and related research. Clin Orthop Relat Res. 2001;391(Suppl):S171–81. Nakagawa K, Sasho T, Arai M, Kitahara S, Ogino S, Wada Y, et al. Chiba and Ichihara, Japan. Electronic poster presentation P181. International Cartilage Repair Society Meeting, Warsaw Poland, October 2007. Kon E, Filardo G, Presti ML, Delcogliano M, Iacono F, Montaperto C, et al. Bologna, Italy. Electronic poster presentation 29.3. International Cartilage Repair Society Meeting, Warsaw Poland, October 2007. Kon E, Buda R, Mandelbaum B, Filardo G, Timoncini A, Delcogliano M, Fornasari P, Giannini S, Marcacci M.
Podium Presentation, # 685. American Academy of Orthopaedic Surgeons, New Orleans LA. March 12, 2010. Med Hypotheses 2009 Apr; 72(4):455-7. Elizaveta Kon, Roberto Bnda, Ginseppe Filardo, Alessandro Di Martino, Antonio Timoncini, Annarita Cenacchi, Pier Maria Fornasari, Sandro Giannini, Maurilio Marcacci. Knee Surg Sports Traumatol Arthrosc. Sept 2009: 0940-8. The Journal of Musculoskeletal Medicine. July 2009. Sanchez M, Azofra J, Anitua E, Andia I, Padilla S, Santisteban J, Mujika I (2003). Med Sci Sports Exerc 35:1648-1652. Berghoff W, Pietrzak W, Rhodes R.
Gardner MJ, Demetrakopoulos D, Klepchick P, Mooar P.
Everts P, Devilee R, Mahoney C, Eeftinck-Schattenenkerk M, Knape J, Van Zundert A.
Sanchez M., Fiz N., Azofra J., Usabiaga J., Aduriz Recalde E., Garcia Gutierrez A., Albillos J., (…), Anitua E.
(2012) Arthroscopy – Journal of Arthroscopic and Related Surgery, 28 (8), pp. 1070-1078. Wetzel RJ, Patel RM, Terry MA. Platelet-rich Plasma as an Effective Treatment for Proximal Hamstring Injuries. Orthopedics. 2013 Jan 1;36(1):e64-70. doi: 10.3928/01477447-20121217-20. Rheumatology (2011) doi: 10.1093/rheumatology/ker303 First published online: November 10, 2011. Hu X, Wang C, Rui Y. An experimental study on effect of autologous platelet-rich plasma on treatment of early intervertebral disc degeneration. Zhongguo Xiu Fu Chong Jian Wai Ke Za Zhi. 2012 Aug;26(8):977-83. Chinese. Spine: Affiliated Society Meeting Abstracts . Supplement 1, October 2011. Journal of Neurosurgical Review, Vol 1 (2011). Trigeminal Neuralgia Treatment: A Case Report on Short-Term Follow up After Ultrasound Guided Autologous Platelet Rich Plasma Injections. Shuji Obata, Koji Akeda, Takao Imanishi, Koichi Masuda, Won Bae, Ryo Morimoto, Yumiko Asanuma, Yuichi Kasai, Atsumasa Uchida, Akihiro Sudo. Kwon DR, Park GY, Lee SU. The effects of intra-articular platelet-rich plasma injection according to the severity of collagenase-induced knee osteoarthritis in a rabbit model. Ann Rehabil Med. 2012 Aug;36(4):458-65. Epub 2012 Aug 27. Zhongguo Xiu Fu Chong Jian Wai Ke Za Zhi. Mar 2011; 25(3):344-8. Harris, N. Lindsay, MD; Purnell, Mark L., MD; Huffer, William E., MD; Larson, Andrew I.
Phinney, Shawn, MA; Von Stade, Eleanor F., MD. Aspen Orthopaedics Associates and Aspen Sports Medicine Foundation (AMSF). Autologous injectable tissue-engineered cartilage by using platelet-rich plasma: experimental study in a rabbit model. [Journal Article, Research Support, Non-U.S. Gov’t] J Oral Maxillofac Surg 2007 Oct; 65(10):1951-7. Angiogenic properties of sustained release platelet-rich plasma: characterization in-vitro and in the ischemic hind limb of the mouse. [Comparative Study, In Vitro, Journal Article] J Vasc Surg 2009 Oct; 50(4):870-879.e2. Aspenberg P, Virchenko O. 2004. Taylor M, Norman T, Clovis N, Blaha D.
Med Sci Sports Exerc. 2002;34(1):70–3. Int J Sports Med, 2004. 25:1-6. Plast Reconstr Surg. 2004 Nov;114(6):1502-8. Platelet-rich plasma as a scaffold for injectable soft-tissue augmentation. Van Ark M, Van den Akker-Scheek I, Meijer LT, Zwerver J. 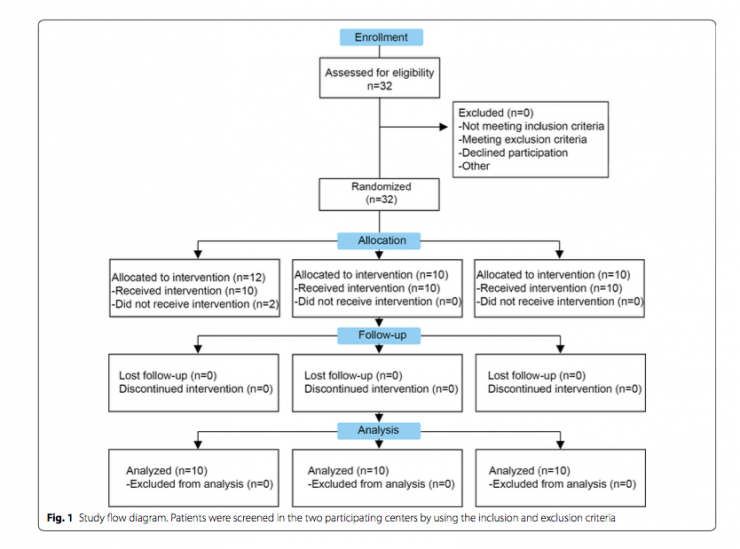 An exercise-based physical therapy program for patients with patellar tendinopathy after platelet-rich plasma injection. La artrosis es una enfermedad en la que existe un deterioro progresivo del cartílago de las articulaciones, lo que a nivel de la rodilla provoca inflamación de las estructuras que la rodean (membrana sinovial) y la reacción del hueso por debajo del cartílago (hueso subcondral). La inyección intraarticular de células madre de médula ósea en dosis de 100 millones de unidades mejora los síntomas de la artrosis de rodilla. Así lo han revelado los resultados de un ensayo clínico fase I-II aleatorizado, diseñado y dirigido por el Dr. Gonzalo Mora y desarrollado por especialistas de la Clínica Universidad de Navarra y del Complejo Universitario de Salamanca. 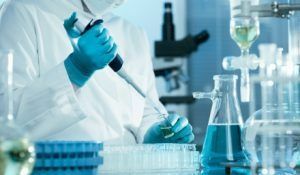 El trabajo ha sido publicado recientemente en la revista científica «Journal of Translational Medicine». Se incluyeron pacientes de entre 40 y 80 años, con un grado de artrosis en la rodilla de moderado a severo (grado II a grado IV) y se comparó el tratamiento intraarticular con células mesenquimales de médula ósea del propio paciente a dos dosis diferentes frente al tratamiento estándar sin células, simplemente con ácido hialurónico. 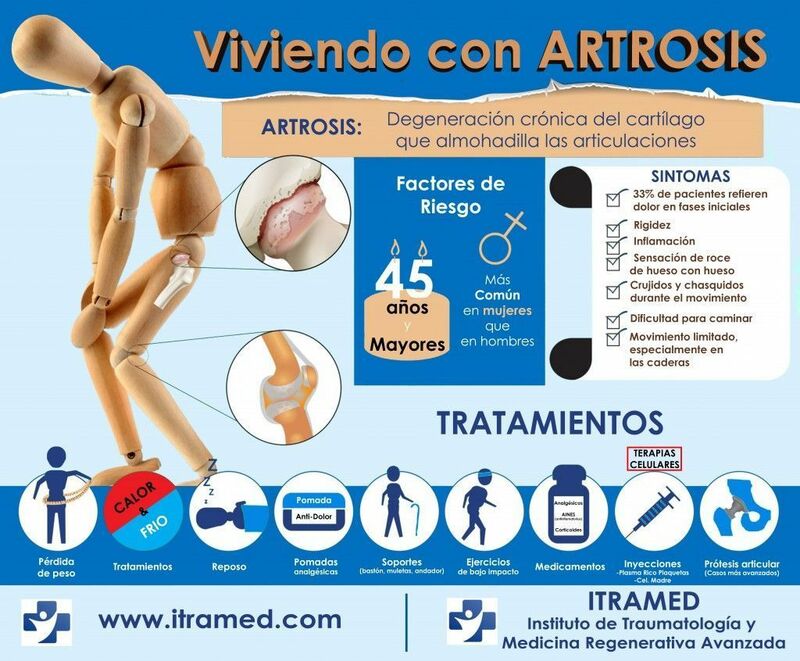 En la artrosis se produce un desgaste progresivo del cartílago lo cual lleva a la aparición de dolor mecánico y rigidez, factores que influirán en la disminución gradual de la función articular. Se trata de una enfermedad muy frecuente, progresiva e incurable, y que se asocia en la mayor parte de los casos al envejecimiento. Su incidencia aumenta en proporción a la edad y al peso corporal, siendo la causa principal de prótesis total de cadera y rodilla que, a día de hoy, sigue siendo la última alternativa en los casos avanzados de artrosis. 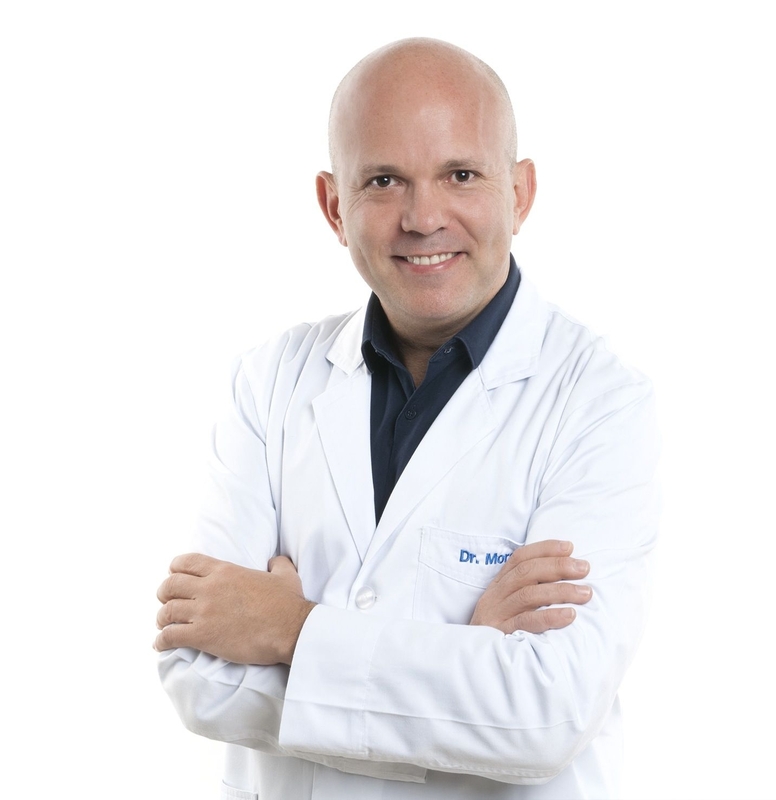 Tal como se describe en el protocolo del ensayo clínico diseñado por el Dr. Gonzalo Mora, las células madre mesenquimales se obtienen mediante biopsia de la médula ósea del propio paciente. Tras un proceso de centrifugado, se consigue una reducida cantidad de células progenitoras que se cultivan y multiplican, y posteriormente son inyectadas en la rodilla. De acuerdo a los resultados obtenidos, «los pacientes con ácido hialurónico volvían pronto, con el paso de los meses, a la situación previa de dolor, mientras que el grupo con cien millones de células se encontraba mejor a medida que pasaban los meses, de forma que al final del seguimiento (al año de la administración del tratamiento) mostraban las mayores diferencias respecto a los otros dos grupos».